Why can't I see my Waiver Console? What is the Insurance and Association Partner Credit Program? What if I need more waivers? Do you charge per waiver? How does Smartwaiver charge for their service? How do I view my waiver usage? How do I upgrade my current service plan? Is prorated billing available? How do I downgrade my current service plan? Is prorated billing available? 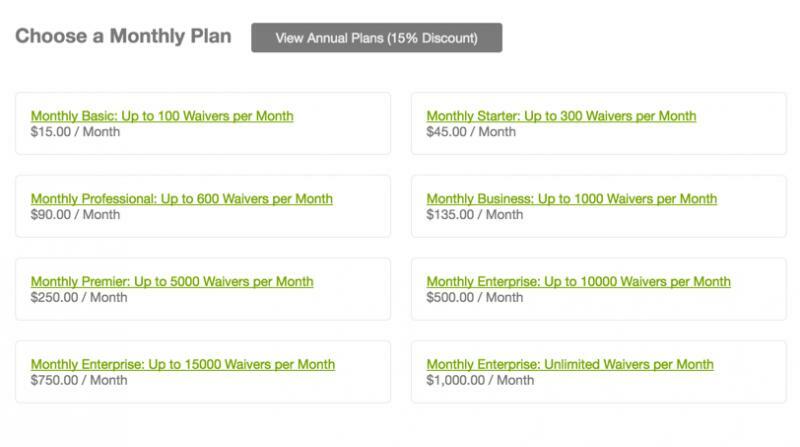 Each service plan includes an allotted number of signed waivers per month. When you approach your monthly waiver limit (75% of quota) an email message is sent notifying you that the account is near its limit with a reminder to upgrade to avoid a disruption in service. These emails will be sent each day until the account is either upgraded, to allow more signed waivers, or the current billing cycle has ended. If the monthly waiver limit is exceeded, an additional email is sent notifying the administrator that the Waiver Console will be disabled until the service plan is upgraded. 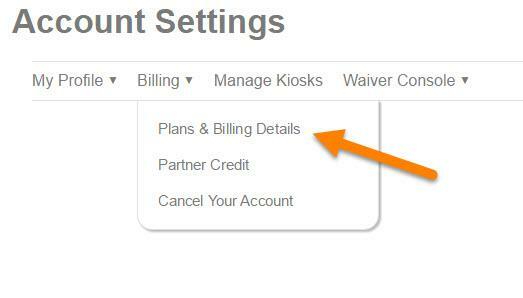 If your Waiver Console has been disabled you can upgrade your service plan at any time. If there is excessive use of the service over your allotted waiver limit, your waiver templates may be disabled as well. 1. Click on your Username and then Account Settings. 2. Click on the Billing link and then Plans & Billing Details link. 3. Select a monthly or annual plan that allows more waivers than your current plan. 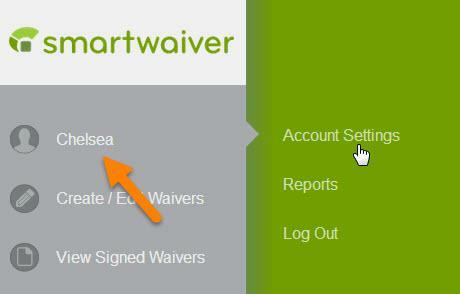 Once updated, you will again have access to the Waiver Console and signed waivers. Important to note: You can upgrade or downgrade your account at any time, depending on your business levels. When you change your plan a credit will be issued to your account for the unused days on your current plan and a new billing cycle for the new plan will begin. What do the stats in Smart Trends mean?